DENALI users benefit from on-premises hosting, which means you can seamlessly integrate with your existing firewall and security network. On-premises hosting protects your information within your network because it doesn’t require uploading or hosting in the cloud. DENALI’s on-premises hosting centralizes access points to information which decreases the vulnerability of your organization’s sensitive information. Every organization has to deal with the headaches of timeclock management. From employees forgetting to clock in or out, to outright timeclock fraud, DENALI provides the solution. One of the essential timeclock security layers offered in DENALI is the ability to cross reference employee timekeeping on projects with the employee’s timeclock entries. This answers public service supervisor’s and accountant’s questions: were you working and what were you working on? DENALI puts these answers right at your fingertips. It works and plays well with others too, because it fully integrates with TSheets, a leading time tracking software provider. DENALI resolves accountant and supervisor concerns by tracking timekeeping and timeclock management, and providing you with full reports on both, including cross referencing. Public service accounting requires multiple entries and multiple transactions, which means a secure audit trail is non-negotiable. DENALI delivers a secure audit trail by showing every transaction that occurs in your accounting process including reversals, corrections, and any other edits. This trail ensures your accounting meets GAAP standards. For example, if your public service organization encounters a mistake, DENALI forces you to reverse and correct that mistake through a separate transaction. Public service organizations often have a duty of transparency and DENALI’s secure audit trail provides you with the most transparent solution that your public service organization can offer. DENALI prevents dishonest employees from taking advantage of a system that can simply be “edited.” It accounts for every entry, every edit, and every deletion—every time! When you combine this with Individual User Tracking, your public service organization’s accounting becomes bulletproof. Public Service organizations often have multiple people responsible for day-to-day management of the organization. DENALI facilitates this through individual user permissions. Users can be granted permission for specific activities within the DENALI system such as entries, edits, or deletions. DENALI allows you to combine activity permissions with accounting system permissions. So if you have an employee that handles payroll, then that employee will have access to the payroll systems, but not accounts receivable or accounts payable. This means that access to sensitive information can be controlled and tracked within your public service organization. These custom functions allow for manager oversight as well because you can set up DENALI to require a manager’s review before transactions are posted. These checks and balances ensure that your public service organization’s information is protected. DENALI enhances individual user permissions with individual user tracking. This type of tracking allows you to see who is responsible for every action within the software. DENALI records the user logged in during each transaction. Reporting in DENALI shows you who did what and when, down to a specific action, transaction, or other entry. This tracking integrates with the secure audit trail and timeclock management to ensure your public service employees are truly serving the public! Information is big business! 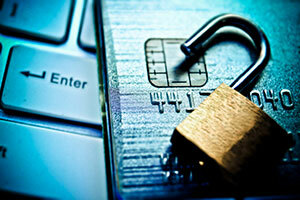 No public service organization wants to become the next target of a data security breach. Public service organizations require access to highly sensitive information, and that access carries with it a responsibility to protect that information. DENALI bridges the gap between access and responsibility by providing on-premises hosting, timeclock management, secure audit trails, individual user permissions, and individual user tracking. By partnering with DENALI, the worry over information security is minimized, allowing you to get back to your primary mission of public service.